HERBERT HANNAH JR. was a man of many talents and interests. He was a skilled handyman who made his home in Germantown into a showplace, a talented photographer with his own darkroom, a chess player who delighted in teaching his own children and neighborhood kids the game, a flashy ballroom dancer, a magician, and a history and jazz buff. But most of all, Herbert Hannah was a devoted family man who married his childhood sweetheart and liked to take his children to fun places. Herbert Hannah, a post office employee for nearly 40 years, Army Air Corps veteran of World War II, and veteran of the old Civilian Conservation Corps of Depression days, died Saturday of cancer. He was 83. As a black man coming of age in Philadelphia in the '40s and '50s, opportunities were limited. Many of Herb's talents and skills, which might have won him some recognition in another age, remained hobbies. "He was very intelligent," his daughter Mary Hannah said. "If he had been born later, no telling what he could have become." For a time, he dreamed of becoming a funeral director, and attended the Eckles School of Mortuary Science. But he couldn't find a funeral home that would take him on. So, Herb took the route of many African-Americans in those days and joined the post office. His abilities were quickly recognized, and he advanced to a supervisory position at the main office at 30th and Market streets. 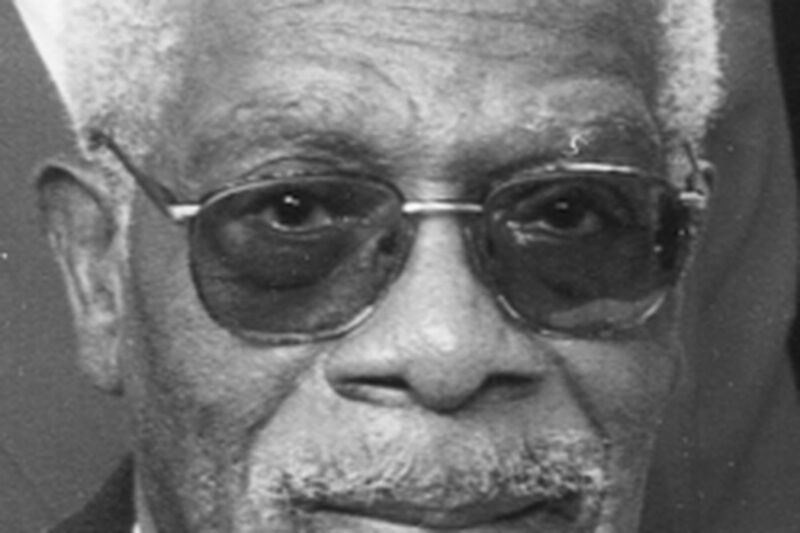 He was born in Philadelphia to Herbert Hannah Sr. and the former Edna Robinson. He attended Bok Vocational-Technical High School before joining the CCC, part of President Franklin D. Roosevelt's program to put people to work in the Depression. In 1942, he enlisted in the Army Air Corps, where he served as a radio operator. He advanced to the rank of sergeant before his discharge in 1946. While in the service, he and the former Mary Louise Santos eloped to Elkton, Md., and were married on Oct. 15, 1945. They had met when she was 13 and he was 15. After the service, he attained his GED at Benjamin Franklin High School. He joined the post office in 1949 and retired in 1978. Early in their marriage, the Hannahs lived in the Johnson Homes housing project in North Philadelphia. In 1966, they bought their own home in Germantown. "The first thing Dad did was knock down all the walls," Mary said. "He didn't like wallpaper. He didn't know what it was hiding. He plastered and painted all the walls, refurbished the bathroom and kitchen." One night when Herb was on his way home from work, the police stopped him and held him for several hours because they said he resembled a man who had attacked a woman. Such indignities were not uncommon in those days. Jim Crowism was not confined to the South. But he didn't let such incidents dampen his spirits or interfere with his determination to provide a safe, solid home for his family. "He was a quiet man, but he wouldn't have backed down if someone threatened his family," his daughter said. "He would fight to the death for his family." Herb taught himself photography and installed his darkroom in a bathroom. "When the red light was on, we knew not to go in there," Mary said. Every Halloween, Herb designed and made his own costume to accompany his children trick-or-treating. As a jazz enthusiast, he invited neighborhood children into his home to listen to his extensive record collection, and talked with them about the great jazz artists. As a history buff, he read extensively. He specialized in the Revolutionary War and ancient Greek and Roman times. Besides his wife and daughter, he also is survived by two sons, Theadric and Ricardo; another daughter, Renee; five grandchildren; and three great-grandchildren. Services: Memorial service at 9 a.m. Saturday at the Nix Funeral Home, 1621 Dauphin St.